Golf course within 1 hour. 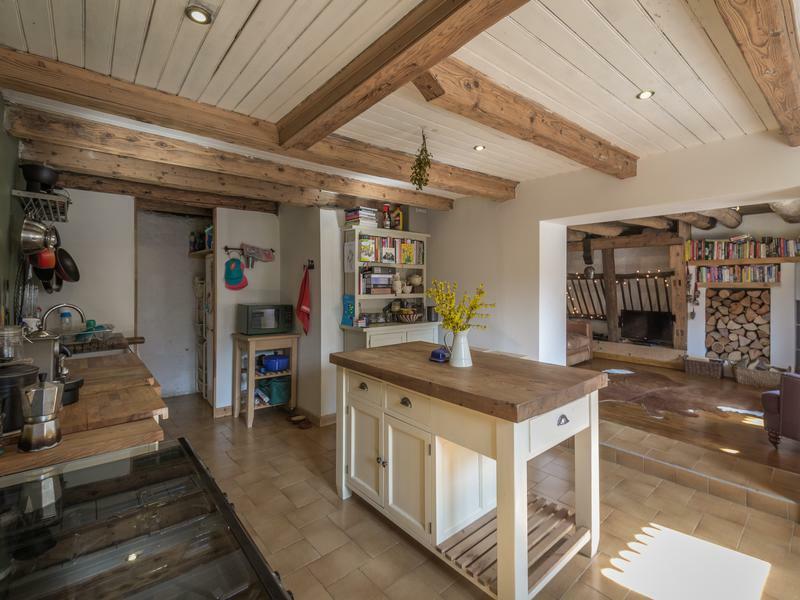 This charming, traditional style farmhouse for sale in Le Biot has been renovated to offer an attractive family home or holiday chalet. 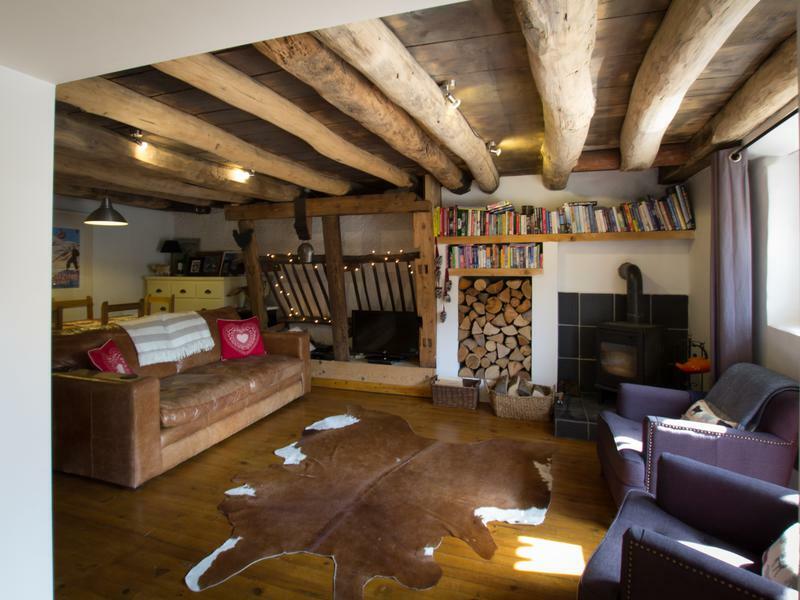 •	Terrace Entering into this farmhouse immediately gives you a cosy, homely feeling. This deceiving tardis is among our highly recommended properties to view. 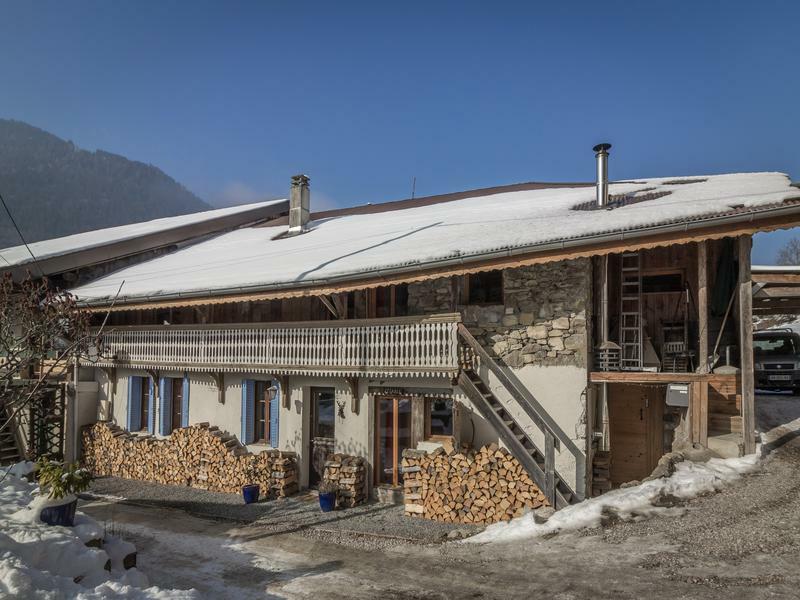 The entrance to this ski property is into a lovely farmhouse kitchen with a shaker design. 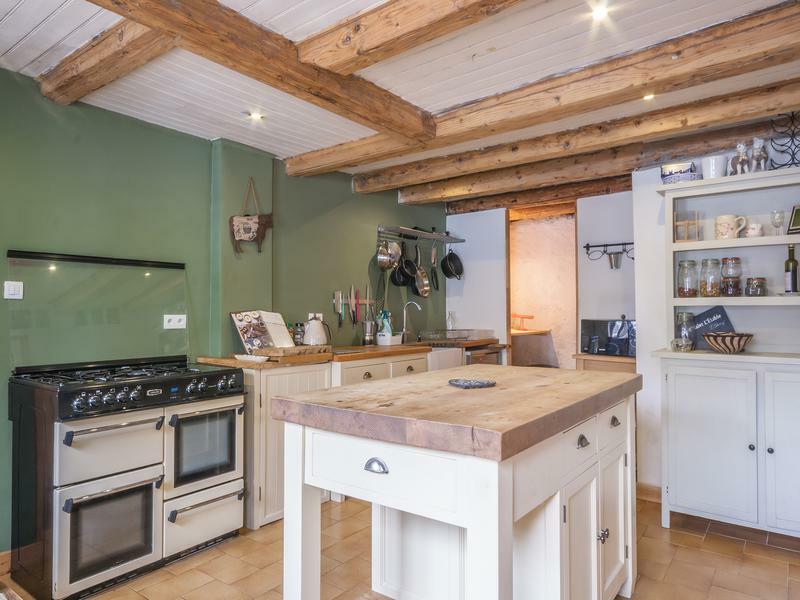 With wooden surfaces, butlers sink, an impressive kitchen island, plus pantry, this room, with its large and attractive cooker, is light, welcoming, and a joy to cook in as the heart of this home. From its central position, the kitchen is between two spacious living rooms that are on either side of it. 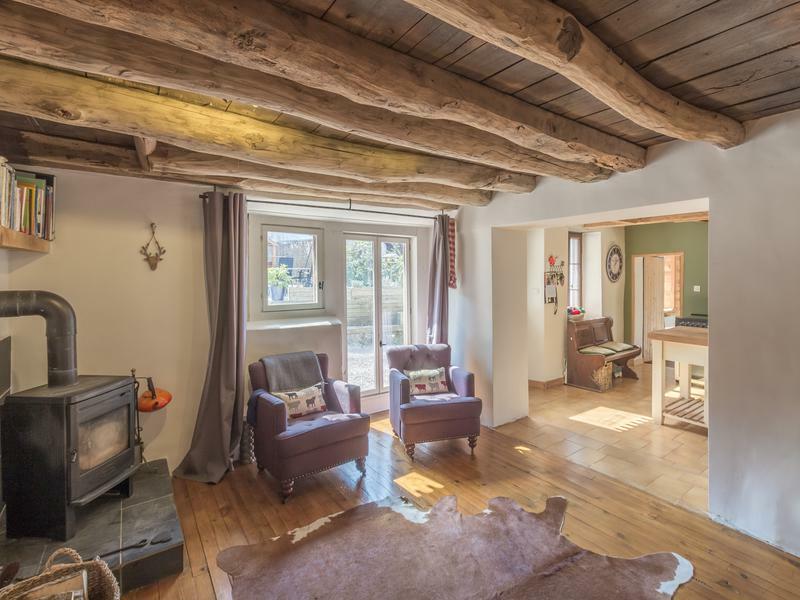 The first of these living rooms is the sitting room with dining table, is full of farmhouse charm, presenting an attractive wood burning stove and feature wooden hay stalls. The second of the living-rooms is currently used as a television room but could offer a grand 6th bedroom as it is equipped with ensuite bathroom with a toilet. Moving through the living-room/dining room to head upstairs brings you into a surprisingly large tardis-like space hosting 4 double bedrooms, loft room and access to the ski/bike store room. 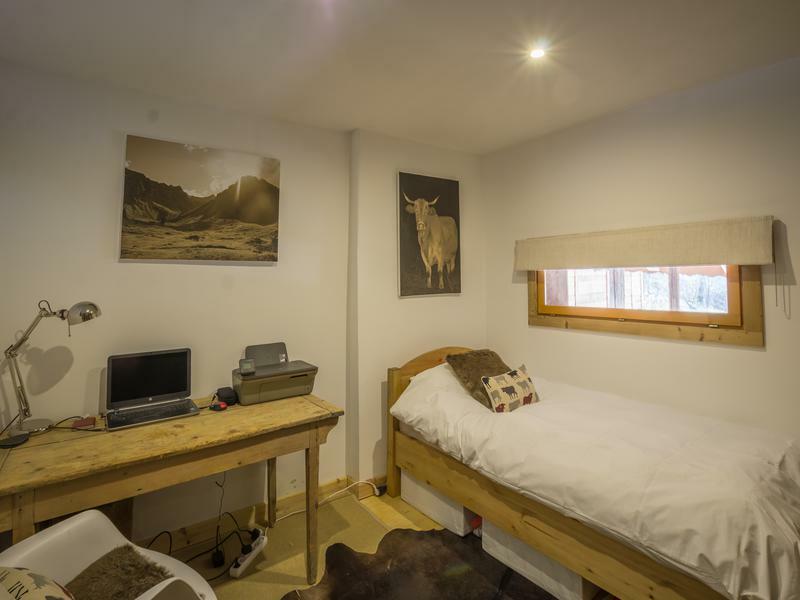 Each bedroom is well presented with immaculate finish. 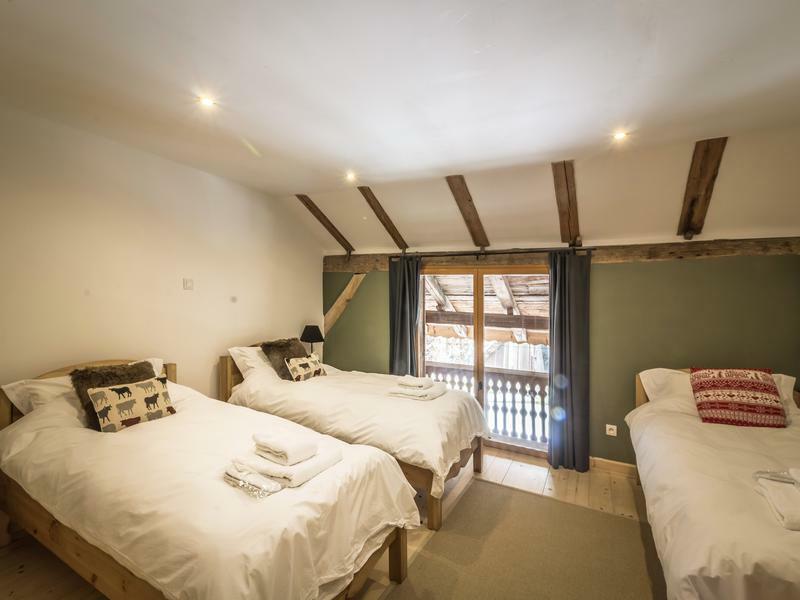 Three of the four bedrooms have en suite shower rooms but, with little work, there is the option of turning bedroom 3 en suite into a jack-and-jill shared bathroom to serve bedroom 4. All 4 bedrooms are of double size with bedroom 1 offering the largest space, working well as a master bedroom with balcony. 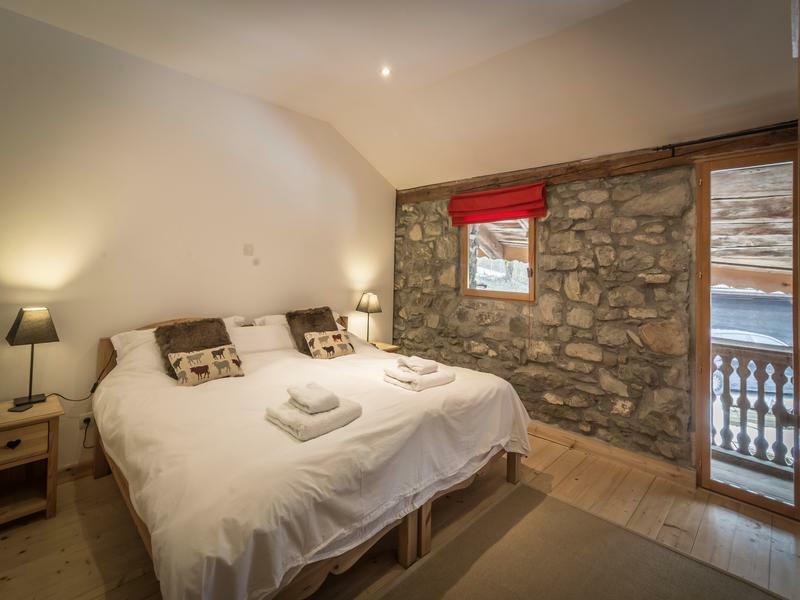 Meanwhile, bedroom 3 has a beautiful feature stone wall, also with access to the balcony. 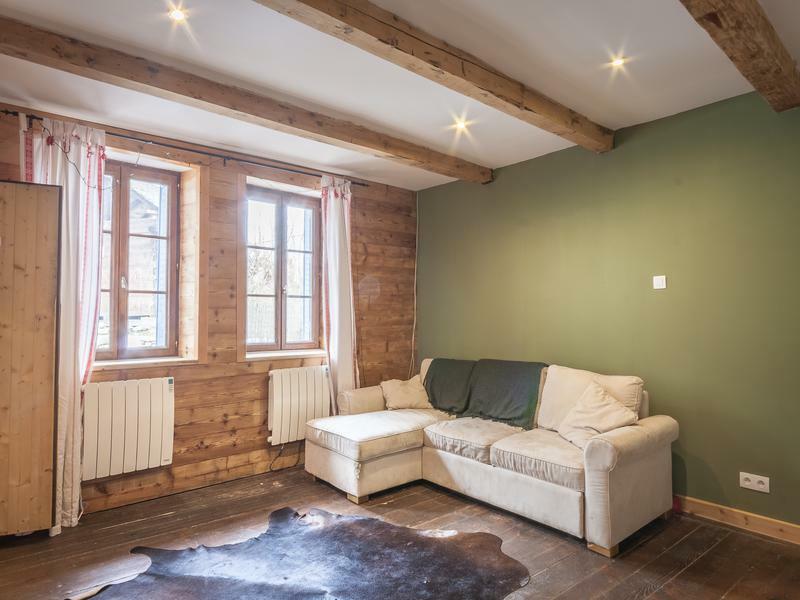 A loft bedroom, or possible playroom, is up a further level and sits in the attic space of the farmhouse chalet. Being tucked away it makes an ideal spot for managing the accounts but would also work well as a playroom for children requiring their own space or another bedroom. The ski/bike store room can be accessed from outside or internally from the first level. Outside there is parking for 2 cars and a terrace. 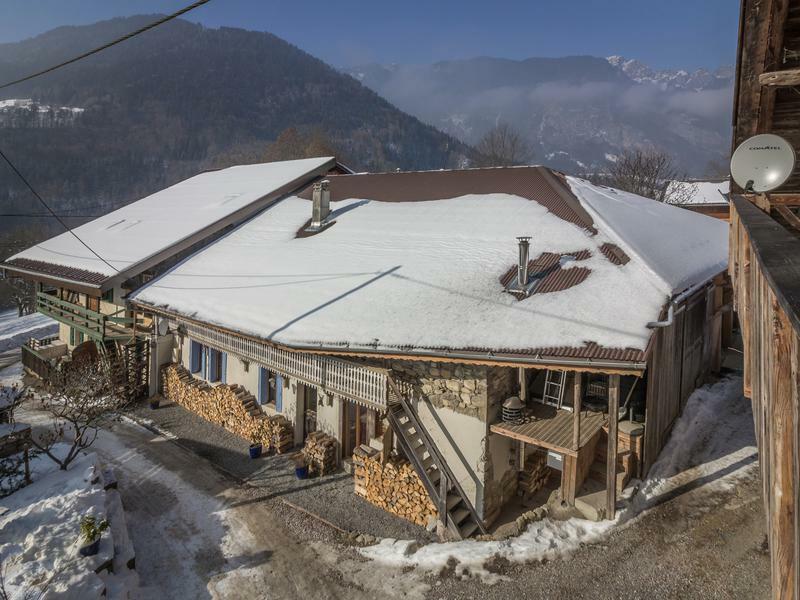 Location Just over one hour from Geneva airport, this property is ideally located to attract international clients looking for a short break to the mountains. Le Biot is a pretty village with a friendly bakery and, arguably, one of the best cheese shops in the northern Alps. There is also a hotel with bar/restaurant and a pizzeria, a post office and a very welcoming thriving, primary school. Everyone initially comes to the area for the world class ski resorts on the doorstep but stay for the summer to experience the Alps in its true beauty. From fabulous waterfalls, lake swimming, open-air pools, downhill mountain biking, road cycling, water rafting, as well as a whole host of other activities, concerts and festivals throughout the hot months. Whichever month, the Portes du Soleil area doesn’t fail to deliver.